Before entering the sad adult world, I used to spend my free days or vacation from the university in our home in Cavite and it was always such a treat. Our neighborhood is quiet; I could only hear our chimes at 2 in the afternoon (in addition to the super occasional dog noises). Around this time, I lounge at the veranda, with coffee and sandwich on the side table and a book in one hand. A visit at Hot Off the Press one afternoon reminded me of those laid back times. There, we munched on delightfully crisp and light but filling vegetable paninis (composed of bell peppers, carrots, zucchini, eggplant, mozzarella, cheddar, and pesto sauce spread) and down mugs of specialty coffee made with beans sourced from Benguet. It’s a pretty humble combo but one that will remind us of what home feels and tastes like, and, not to mention, something I’ll return there for. 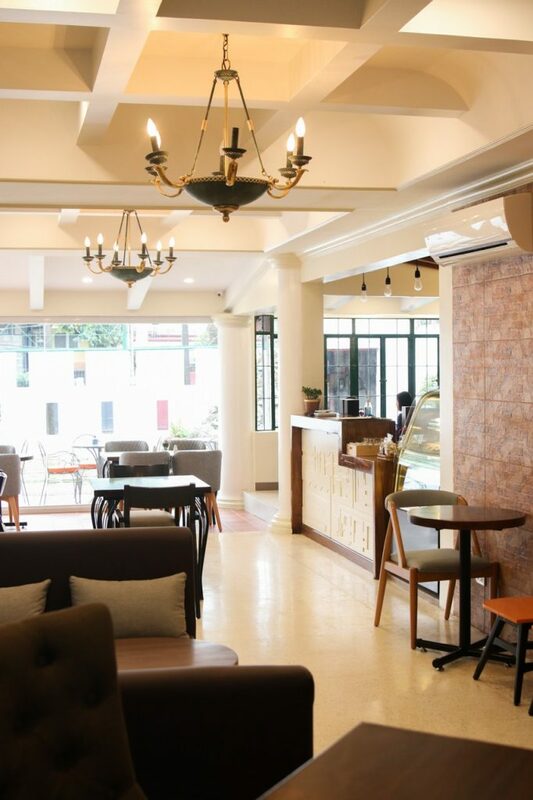 Hot Off the Press is a new café and restaurant along the famous eats street Maginhawa in Teachers Village, Quezon City (I know, it still has its charm after all). It would seem like a regular house from the outside, if it wasn’t for the tarpaulin on the gate bearing its name. 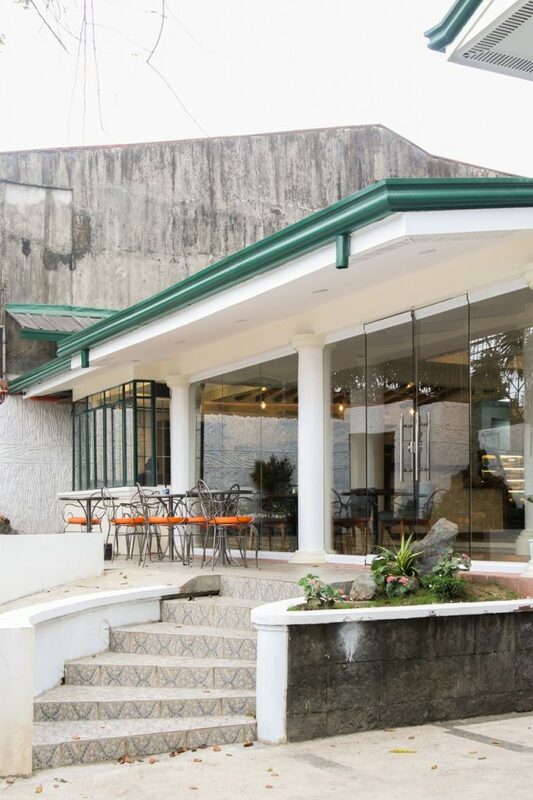 When you enter, you’ll be welcomed by a bright house, owned by a sculptor, that reveals a spacious restaurant where you can score some personal space (perfect for gatherings, right?). Hot Off the Press is located at 163 Maginhawa St., Quezon City. “The concept originally started as a panini and hot coffee concept—thus the name. 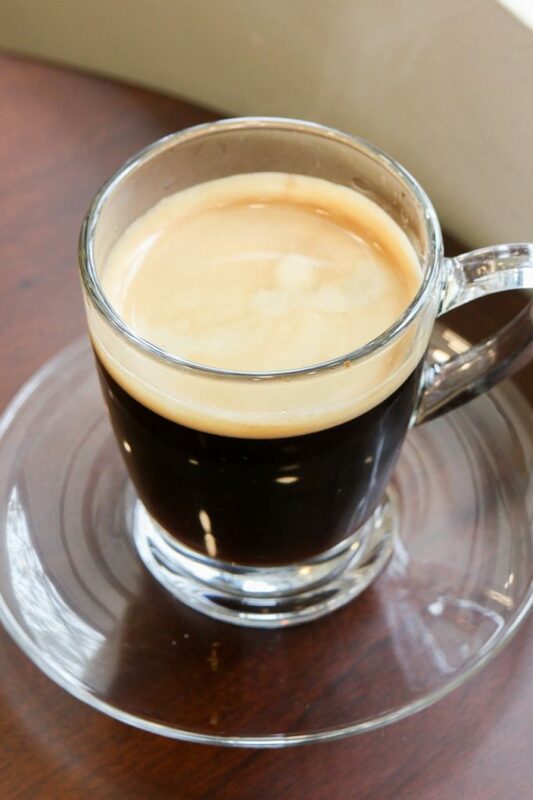 We just wanted to do a sandwich shop, but circumstances (like how we found this old house) led us to evolve into a full-scale café and restaurant,” says one of the owners and resident coffee expert Niña Guinto. They basically serve hot and comforting food—”our favorite food that we think our customers would like as well,” says Guinto. Taste is subjective but comfort foods usually have a common measure—creamy, deep-fried, sweet, salty, can you taste it already? 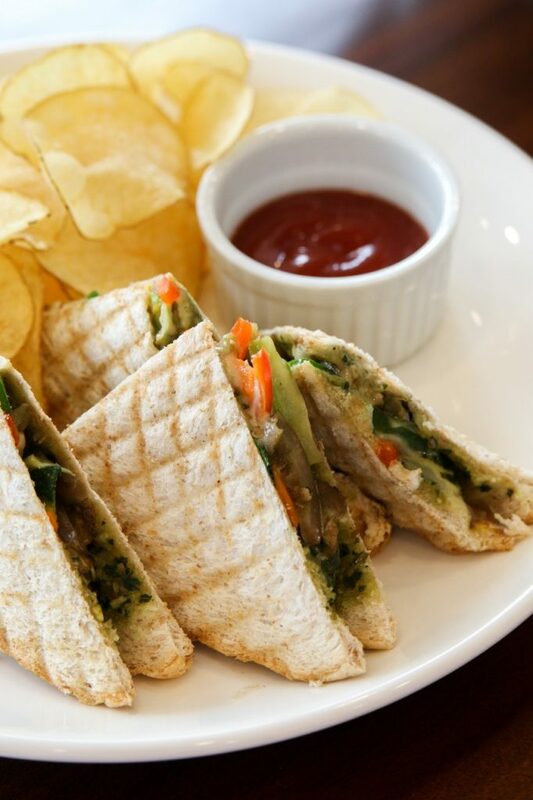 Obviously, the vegetable panini is a must try. But you must not miss Hot Off the Press’ salmon and meatloaf, too. 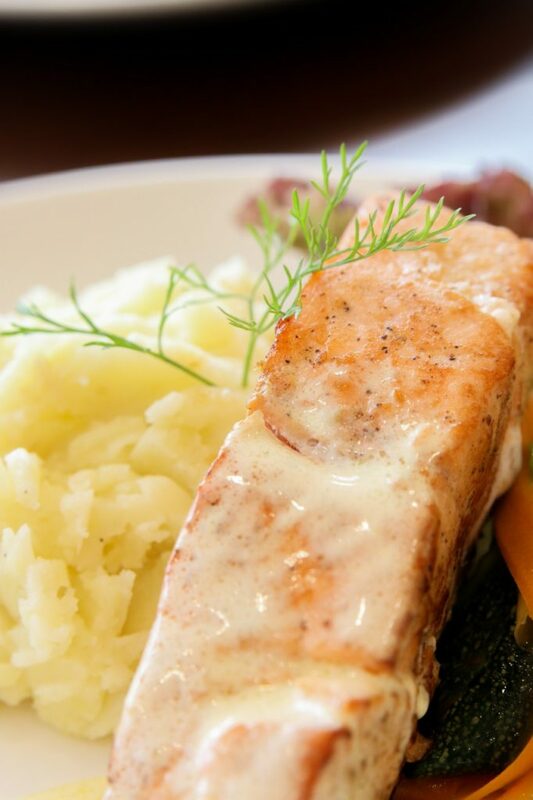 The Norweigan salmon is pan-baked, drizzled with the rich and creamy with bright undertone Beurre blanc sauce (so don’t skip the divine cream-based sauce blended with white wine and orange zest). It’s served with mashed potato and salad. The Chef’s Meatloaf, on the other hand, is a juicy, hunky dish made with ground pork and chicken, cheese, and secret sauce baked for almost an hour. 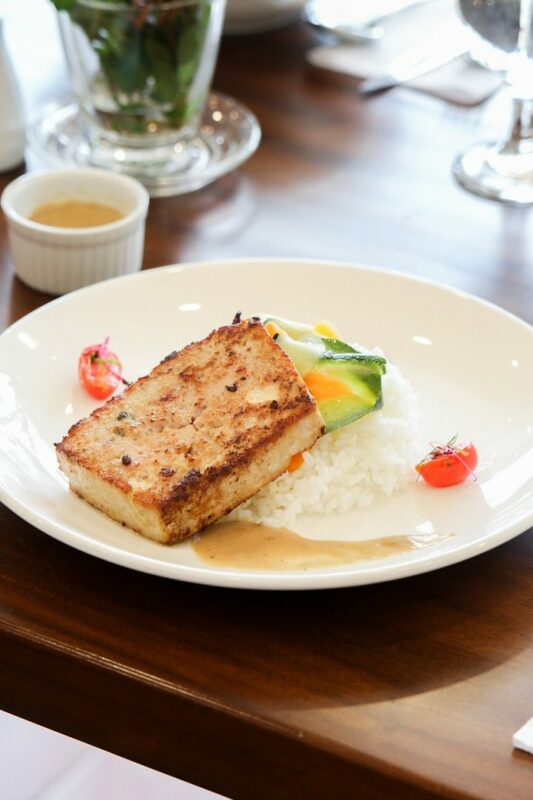 It’s served with rice and cherry tomatoes. 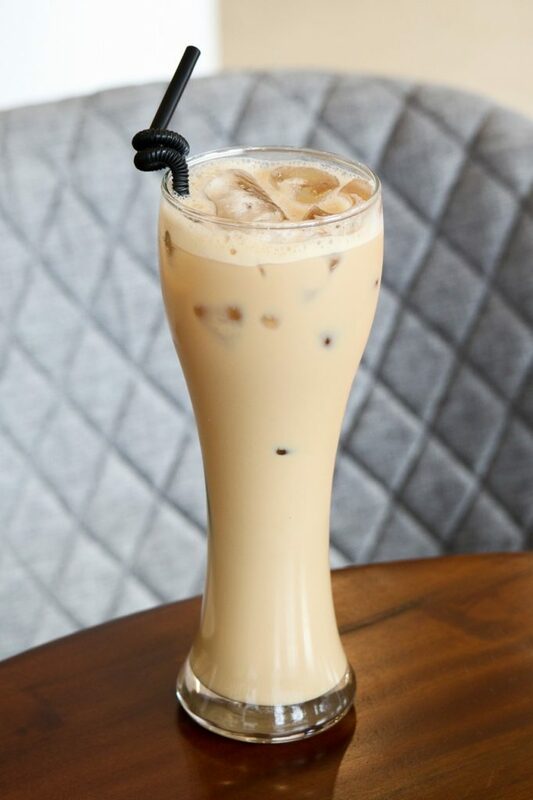 For the sweets, try their Cookie Blossom, an iced coffee which tastes reminded me of Froot Loops but better and with a hint of floral aftertaste. 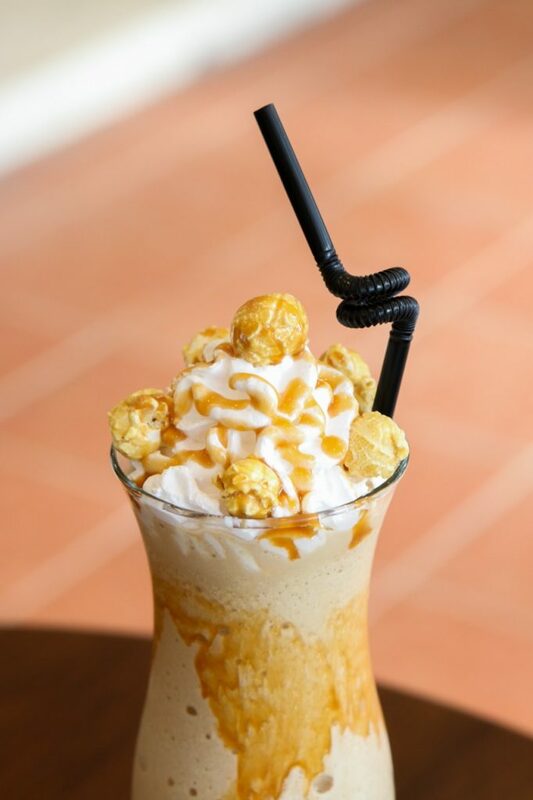 Their salted caramel popcorn frappe, on the other hand, is for those who still want the kick from caffeine without the bitter taste. As of writing, Hot Off the Press is constructing its backyard where they’ll put a bar. It’s also planning on offering takeaways and catering services.